Established in 2014, Pocket Casino has gained the desired reputation that precedes it compared to other casinos in the industry. The casino is designed to give players casino entertainment no matter where the day takes them. It features all the most popular Microgaming, NetEnt, Thunderkick Games, NextGen Gaming, and 1x2Gaming slots, along with several other casino games, including a live casino. Pocket Casino is owned by ProgressPlay Limited Casinos and offers a gem selection of games that are hard to resist from several software platforms. 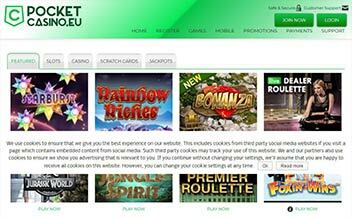 Players at Pocket Casino can also access Microgaming’;s suite of live table games on their desktops or laptops. The games are tailor-made to meet the preferences of all gamers in the casino. 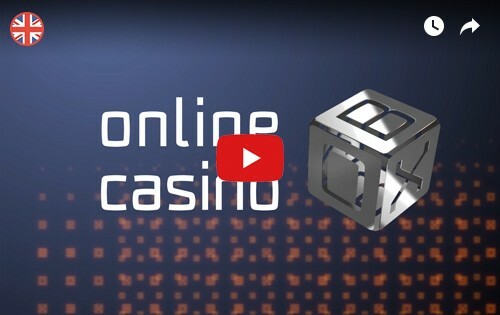 The Casino protects players’ information withSSL encryption technology and offers professional customer support 7 days a week at a certain time frame. 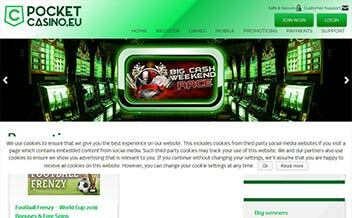 Pocket Casino is licensed by the UK and Malta. 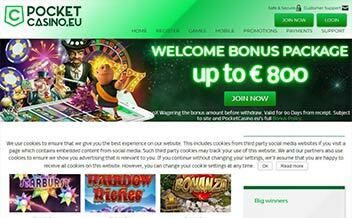 Pocket Casino EU helps new players to line their betting balances with a generous welcome package worth up to £800 in total over their first three deposits. It works like this: new players will get a 100% deposit match up to £200 on their first deposit, followed by a 50% deposit match up to £300 and finished off with a 100% bonus up to £300. The Casino also has weekly promotions that include free spin rewards, cash back bonuses, and deposit match boosts to keep the existing users interested. Players at Pocket Casino can choose from several different kinds of games, but slot lovers have the most choices. The casino features many of the top titles from Microgaming, NextGen Gaming, and 1x2Gaming in one convenient place. These games include; Thunderstruck 2 slot, 5 Knights slot, Yggdrasil The Tree of Life slot, 1429 Uncharted Sea slot, Big Kahuna slot and many others. Pocket Casino’s selection of virtual table games is available to both desktop and mobile players, especially for those who enjoy a diverse range of Blackjack and Roulette games. Unfortunately, the only other table games offered at this time are Triple Pocket Hold’em Poker and Six Shooter. Video poker players have a fair selection to choose from as well. These include Deuces Wild, Double Bonus Poker, Aces and Eights, Louisiana Double, and Jacks or Better. All of the games are traditional single-hand titles. Scratch cards are also available at Pocket Casino, along with several other instant-win games like Keno, Spingo, and Four by Four. The Casino is powered by various software developers. The Casino features an extensive line-up of games from several platforms like Microgaming, NetEnt, Thunderkick Games, NextGen Gaming, and 1x2Gaming. France, Germany, Italy, Greece, Spain, Belgium, Israel, Portugal, Denmark, United States, Cyprus, Turkey, Romania, Hungary, Lithuania, Serbia, and many others. Bank Wire Transfer, Neteller, Master Card, Visa, Skrill, Paysafe Card, and Ukash. Euros, US dollars, British pound sterling. As its name implies, Pocket Casino is designed to be played on virtually all mobile devices. This includes iOS, Android, and Windows Phone smartphones and tablets. No app download is needed since the website itself is powered by mobile-friendly HTML5. 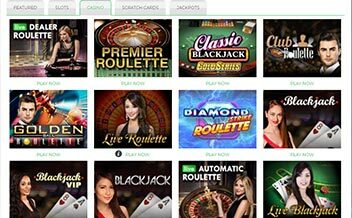 Pocket Casino has fully ventured and exploited the available untapped potential in video slot games as it offers an extensive line-up of online videos lots from multiple platforms. Table game and video poker junkies are somewhat neglected as the casino offers little for them. Despite that, the casino offers gaming on the go as it is also designed for mobile gaming.